All insulation is measured in what is called “R-value.” The R-value of any particular type of insulation depends on how well it slows the process of heat transfer. When there is a permeable barrier that puts warmer air on one side and cooler air on the other side, eventually the temperatures will balance out. Insulation helps to make this process take longer, so that cooled or heated air inside the home lasts longer. The higher the R-value, the better the insulation material does. R-value is usually measured by the inch or centimeter, so several layers or inches of a particular type of insulation may be needed to meet local guidelines. What Types of Insulation Are There? 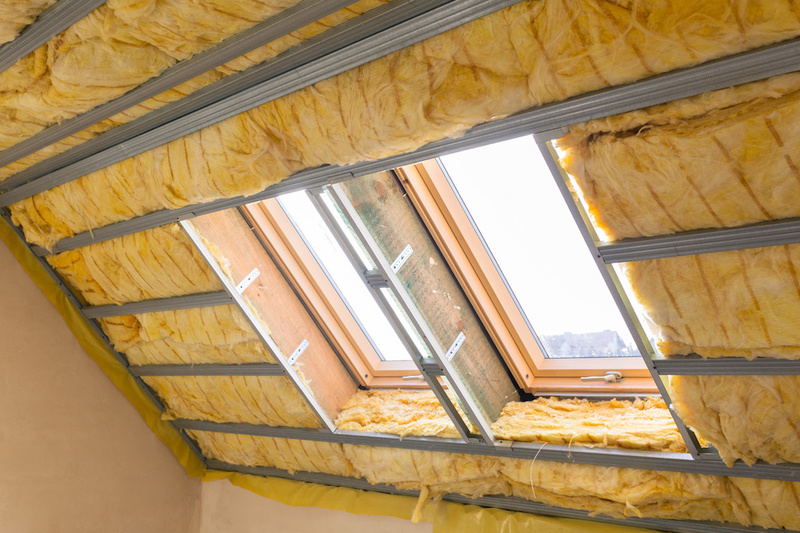 Common materials used for insulation include fiberglass, cellulose, polyurethane, rockwool, and cotton. The type needed depends on the amount of necessary insulation and the skill of the person putting it in. Spray foam requires more care than it may take to cut batts and place them, while SIPs tend to be more expensive. How Can Homeowners Increase or Improve Insulation? Although insulating the home may seem like a very complicated maneuver, it is a task that homeowners could consider doing on their own or hiring a professional. If homeowners decide to DIY the project, they should be sure that they know what they will find behind their walls. Older homes built before the 1970s or 1980s may need asbestos testing before putting in new insulation. Asbestos was a popular and effective form of insulation used in the mid-20th Century, however, disturbing asbestos can lead to serious health effects. If homeowners are unsure what kind of insulation is in their older homes, they should consult an expert. Adding more insulation to the home is a great improvement for comfort and value in any North Myrtle Beach home. When homeowners consider their home insulation options, they can make a choice to increase their energy efficiency.